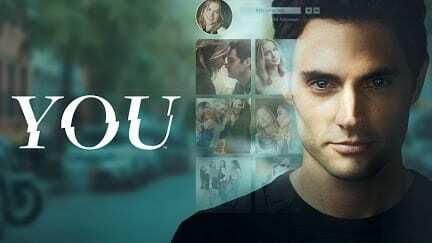 The new Netflix series that has secured many binge watchers is “You.” If you tell someone what show you are watching, you will literally say “I’m watching ‘You,’” which may just be the perfect double entendre in this instance. Without giving away any spoilers, this show is about a guy who aggressively stalks a girl, even after he becomes her boyfriend. While real-life stalking might not always be as extreme as it is in the show, the concept of cyber-stalking is one that teenagers, specifically, know all too well. It is important to think about what you post and how you portray yourself once you have graduated and are on the job hunt, because all those pictures stay with you even when you think they are gone. Upon meeting someone new, within minutes you can find information on their hometown, birthday, and their cousin’s dog’s favorite chew toy. If you truly think about how much of your life you make public for anyone to see, it can be scary. Anyone can find this information, not just the perfect stranger. Teenagers do this mostly to learn everything about the cute someone in their XYZ class who sits three seats away from them. Because of this, it is important to be conscious of how you present yourself online. You never know who might be on the other side of the screen. It’s 10 a.m. on a Sunday morning and you make the wretched discovery that you have finally depleted your supply of clean clothes. Being forced to finally take care of the mountain of dirty clothes accumulating in your closet, you make the trek to the laundry room. However, you soon discover that the machine that you thought was available is actually full of wet clothes, as the person who used it before you failed to claim their load on time. There is much contention about what the proper protocol is in a situation like this. Some people maintain that no one has any business touching clothes that are not their own. However, if your fellow resident is not mindful enough to remove their clothes on time, you should never feel guilty removing them to start your own load. Laundry rooms are shared with all residents of the building, and it is selfish for anyone to assume that their lack of punctuality will not affect anyone else. There are only a handful of machines in every dorm on campus, so people must recognize this and plan accordingly when starting a load. Laundry machines at PC tell you exactly how long it will take for a cycle to complete. It is not difficult to set an alarm to remind yourself when to retrieve your clothes. If someone is not responsible enough to do so, they cannot be mad if someone touches their clothes to use the machine that they were negligently hogging. Please be considerate in the laundry room. And if others are unwilling to do so, do not hesitate to take matters into your own hands. As a busy college student, one rarely finds the time to leave campus to purchase groceries, toiletries, or more school supplies. Luckily, the Providence College bookstore has everything college students need, with the convenience of being located centrally on campus, so students ought to make use of these amenities. Not only does the bookstore sell Friars apparel and textbooks, but it also has entire sections filled with essentials that students would otherwise have to go to an off-campus store to purchase. The PC bookstore offers a wide array of snacks as well as a shelf filled with all of the necessary toiletries including toothpaste, shampoo, feminine supplies, mouthwash, and facewash. With a wide selection of toiletry products, students do not have to leave campus to purchase these items at a convenience store or a pharmacy. As such, having all of these items at the bookstore on campus saves college students a lot of time and effort that would be spent leaving campus. Further, the bookstore’s selection of notebooks, folders, and binders helps students who need a last-minute binder for a new class, or did not have the time to go school supply shopping before coming back to campus. Most students visit the bookstore solely to purchase clothing and books; however, students must become aware of the other items that they can purchase and take advantage of this convenience to save time.